Purple Plum Fairy: U CAN Inspire: Be a Volunteer! U CAN Inspire: Be a Volunteer! Be a volunteer for a cause. It's volunteer season again! 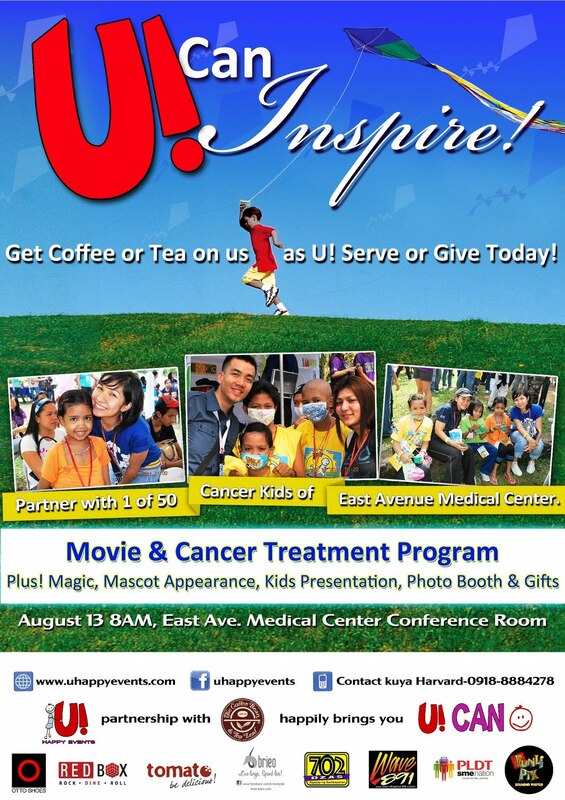 Come and join us on August 13, Saturday, for U! Can Inspire! 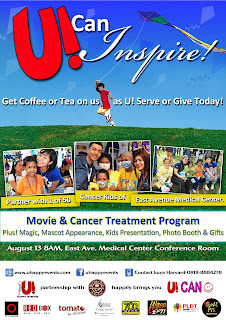 We'll be doing a hospital visit at East Avenue Medical Center in Quezon City and bring lots of smiles to the children. Register at any The Coffee Bean & Tea Leaf store today! Volunteers ages 12 and below can come, so long as they've got an adult volunteer with them. See you there! Visit www.uhappyevents.com for more details. Spread some love today and volunteer!